A state lawmaker is seeking a legal opinion on whether an educator group is encouraging improper use of public funds to get out the vote. Teachers say they are modeling civic engagement for their students within legal limits, and the letter is motivated by a backlash against public education. A state lawmaker is questioning whether an educator group is encouraging improper use of public funds to get out the vote, while education advocates say the pushback is part of a backlash against public education. 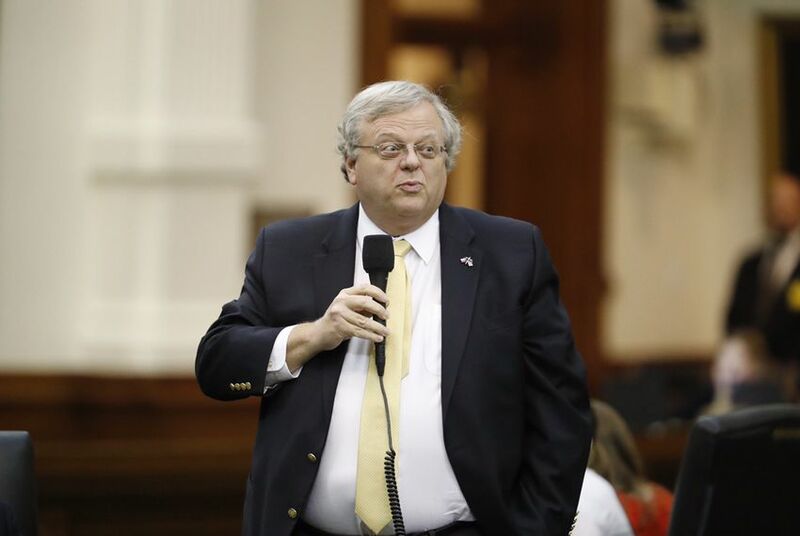 In a letter sent Tuesday to the Texas attorney general, state Sen. Paul Bettencourt asked for an official, nonbinding opinion on whether school districts can provide transportation for employees or students to polling places without violating state law. He's also seeking an opinion on what the legal constraints are around districts spending public funds to influence voters. State law prevents the use of public funds to advocate for a particular candidate or outcome in an election. The Houston Republican referenced a resolution that Texas Educators Vote, a civic engagement group, encourages school boards to adopt. That resolution, listed on the group's site, authorizes administrators to ensure students and employees participate in the election process, in part by "implementing no-cost incentives to voting," such as letting voters wear jeans. The resolution also says administrators should check district policy to see if they can use district-owned vehicles to transport voters to polling places. Also on the website is an "oath" educators can sign promising to "vote in support of the more than 5.4 million Texas school children." "You can't force people to register, you can't force them to vote and you can't offer a reward for that," he said. "I was alarmed when I saw the resolution. I was alarmed at how widespread it had been. This is wrong-track advice. It needs to be terminated immediately." Nearly 100 school districts have adopted the resolution, according to Texas Educators Vote's website. Laura Yeager, the group's director, denies that her organization is encouraging any violation of state law. She argued that the oath's language does not pressure anyone to vote for a specific candidate or support a specific ballot measure. "We're there to model civic engagement for the kids," she said. Yeager said the group was created in 2015 to help register educators to vote, to encourage them to learn about candidates and issues and to encourage voting. "This is popping up because the Legislature has not been friendly to public education, and educators are aware," she said. "I don't think everyone wants educators to go out and vote, which I find disappointing." Some districts did not include the line about using district-owned vehicles in their adopted versions of the resolution, she said. "There's a specific asterisk on that saying, 'Check with the legal department of your district,'" she said. "Clearly no one wants to do something illegal." An earlier version of the oath included a promise "to vote in support of public education," which Bettencourt called a "partisan effort" in his letter. Yeager said she changed it after receiving some criticism from political groups, but that she thinks the language is "innocuous." The Texas Association of School Boards fields questions from board members and district officials about the legal parameters of encouraging employees to vote without violating state law. Disclosure: The Texas Association of School Boards has been a financial supporter of The Texas Tribune. A complete list of Tribune donors and sponsors can be viewed here.